Canberra: Myanmar State Counsellor and de facto leader Aung San Suu Kyi cancelled a rare public appearance in Australia due to ill health, hours after meeting Prime Minister Malcolm Turnbull. 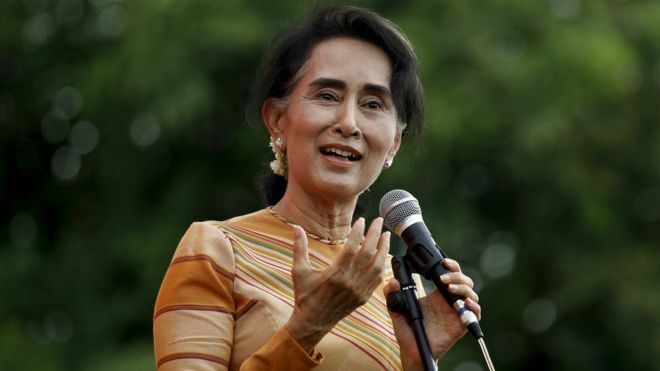 Suu Kyi was due to speak at Sydney’s Lowy Institute on Tuesday but the think-tank in a statement on Monday said she had been forced to cancel as she was “not feeling well”, CNN reported. Outside Australia’s Parliament, Suu Kyi was greeted with a 19-gun salute and an honour guard before her meeting with Turnbull. She was in Sydney on Saturday for the first Asean (Association of Southeast Asian Nations) meeting to be held in Australia. Her government has been accused internationally of “ethnic cleansing” against Myanmar’s Muslim Rohingya population, at least 688,000 of whom have fled to neighbouring Bangladesh since August. Bangladesh and Myanmar had agreed to send some of the refugees back across the border, but so far only around 8,000 Rohingya have applied to be sent home. Of those, the Myanmar government approved the return of a few hundred refugees. Suu Kyi was met with criticism and protests by local Rohingya groups in Australia, who issued a statement calling for Turnbull to raise the ongoing human rights crisis with the Myanmar leader. “We want Australia as a member of the UN Security Council to take action to end the ongoing ethnic cleansing in Myanmar and we want Australia to stop military aid or any business with the government,” Australian Myanmar Rohingya Organization spokesman Habiburahman told CNN. Turnbull told reporters on Sunday that Suu Kyi made a lengthy speech calling for humanitarian assistance and capacity building to help deal with the Rohingya crisis during the Asean meeting. Suu Kyi broke her silence about the Rohingya crisis in a televised address in September, saying her country wasn’t “afraid of international scrutiny”. She has not spoken publicly on the subject since.